The New York Times reports that Gary Samore, the founder of UANI, has resigned as its chairman, because he supports the nuclear sellout to Iran. He will be replaced by former United States Senator Joe Lieberman (I-Ct). 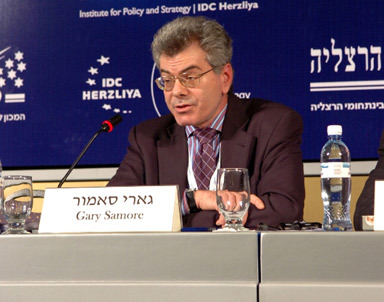 Samore was formerly an adviser to President Hussein Obama on weapons of mass destruction. 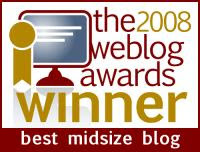 This is from the first link. In other words, Samore favors a deal because (a) Obama is unwilling to employ a military option, (b) he thinks it will buy at least some time, and (c) he hopes that eventually a 'new Iranian government' that is not committed to nuclear weapons will emerge (how that will happen given the repressive Iranian regime and the Obama administration's lack of support for Iran's Greens in 2009 when there was no deal in place is an exercise left to the reader). 'Doubling down on sanctions' is unlikely to be much of an option is this deal goes through. That leaves - you guessed it - military force if we have a President who is then inclined to use it. In any event, Obama will be 'spared' the need to attack his best friends forever in Iran. Seems awfully naive to me.